Part of San Antonio, Spring Branch is mostly a residential area with plenty of parks and outdoor attractions, global cuisine, unique breweries, and entertainment options. The city’s name hails from a spring fed creek that flows into the nearby Guadalupe River. 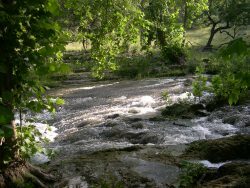 The Guadalupe River State Park is the perfect place to enjoy Spring Branch’s natural beauty. Visitors love to canoe, kayak, and fish in the refreshing waters. Honey Creek State Natural Area and Nichols Landing Co. Park are also enjoyed by outdoor lovers. If the outdoors aren’t for you, Spring Branch has a number of other entertainment options. Spring Branch visitors and residents get their kicks at iFly, a unique skydiving experience, Dave & Busters, and Improv Houston, which hosts some of comedy’s most famous and up-and-coming comedians. Karbach Brewing Company is a local favorite. Stop by for a tour, some delicious grub, and a collection of eclectic brews. Rough Diamond Brewery is a favorite as well. Spring Branch is a global cuisine hub and has really anything your taste-buds may crave. The area has everything from Mexican to Polish to Korean to Thai and Vietnamese, at favorites like Polonia, The Branch, Vieng Thai, El Hidalguense, Roostar, and Bon Ga Korean Restaurant. Spring Branch is truly a unique and cultured city in the midst of Texan natural beauty! Howl at the Moon is the country’s biggest name in Dueling Piano entertainment. Howl2GO delivers our amazing, high energy show to any venue in the Spring Branch area. Bringing Howl2GO’s show to any venue in Spring Branch means you’ll be getting only the country’s top Dueling Piano performers. All our performers are young, exciting and high energy, as well as being experienced in playing all types of events anywhere in the Spring Branch area. Howl2GO Dueling Pianos by Howl at the Moon brings only the absolute best entertainers to your event. Whether you’re planning a corporate event in Spring Branch, a wedding or private party at your home, we’ll deliver customized entertainment leaving you and your guests dancing and singing along all night. We are the first choice for all types of school, church and charity fundraisers and we ensure all our songs and material is suitable for everyone in attendance. Telling your guests in Spring Branch that Howl at the Moon is providing the entertainment, is a sure fire way of attracting more people to your event! Dueling Pianos in Spring Branch is all we do! Howl2GO has a dedicated team of professionals on staff. From our sales manager who will help build out your vision, our production team who will communicate with your venue in Spring Branch, a wedding specialist and, of course, our world-class entertainers, picked specifically for your event. We only bring Howl at the Moon trained musicians, all of whom have experience playing at one of our locations nationwide. 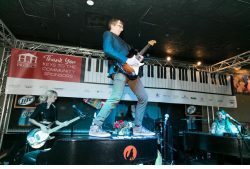 Since our inception in 1990, Howl at the Moon has been the number 1 place for bachelorette parties, and now Howl2GO has become the number one choice for Spring Branch area Dueling Piano wedding entertainment. From your ceremony, through announcements and you first dance until the last guests leave the dancefloor following your reception, our live Wedding music will keep everyone on the dance floor all night long. Choose us, the experts in Wedding entertainment, and don’t take a chance on a local act who will not provide the professional performance required of the biggest night of your life! We have a dedicated reviews page so you can read testimonials from hundreds of our thrilled clients in Spring Branch. Our Facebook page features regular updates, and following us on Instagram and Twitter means you’ll stay up to date on where we’re playing next near Spring Branch TX.